Home Home-Featured Quiz Bowl champs! Last Friday, PJCC hosted the annual Quiz Bowl. Worries about weather kept some schools who normally attend from traveling to the Elgin area but the competition was still fierce. 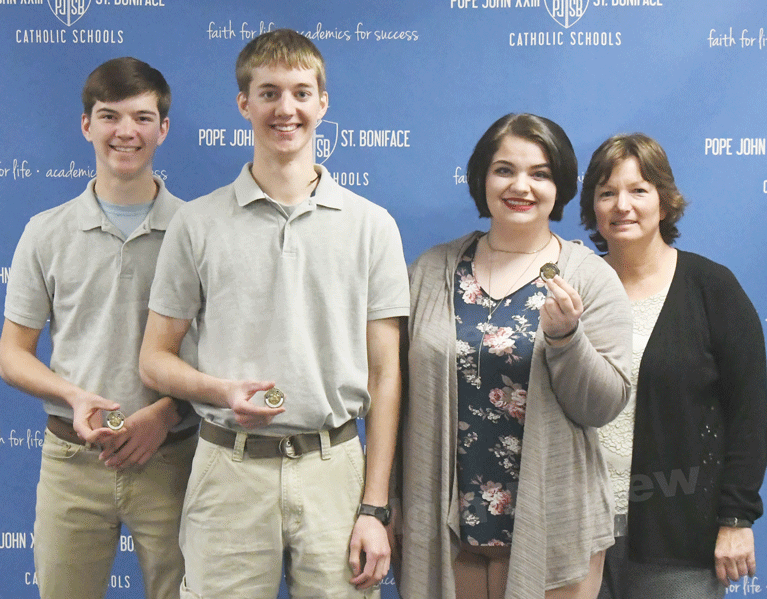 At the end of the day, the Pope John XXIII Central Catholic team came away with medals and bragging rights as the companion team. 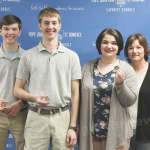 Placing second and third were teams from Chambers and Spalding Academy. Forecasted bad weather conditions also prompted the cancellation of Elgin Public School’s annual Solo (Band) Contest scheduled for Saturday.